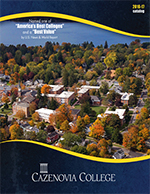 Please Note: The contents of this catalog represent the most current information available at the time of publication. 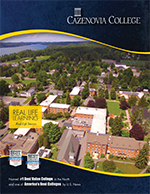 However, during the period of time covered by this catalog, it is reasonable to expect changes to be made with respect to this information without prior notice. 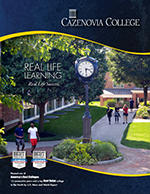 The course offerings and requirements of Cazenovia College are under continual examination and revision. 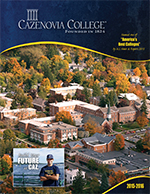 Thus, the provisions of this catalog are not to be regarded as an irrevocable contract between Cazenovia College and the student.